Image: Robert S. Donovan/Flickr//Original photo was cropped but not altered for this article. Gone are the days when premade ravioli meant gloppy, for-kids-only, canned pasta in faux meat sauce. Nowadays you can get plenty of great frozen options that make meals a breeze. A few quick additions, and you’re on your way to deliciously quick and easy ravioli dinners that will become part of your weekly rotation. Sure, you could just boil some ravioli and throw a jar of sauce on them, but a little extra time will produce a meal that will make you look like a kitchen magician. Check out these three super-simple hacks. Spoiler alert: You can use frozen ravioli as croutons on your Caesar salad. Yes, please. Those three very different shortcuts are a good start, but you’ll want to add some more recipes to your arsenal too. 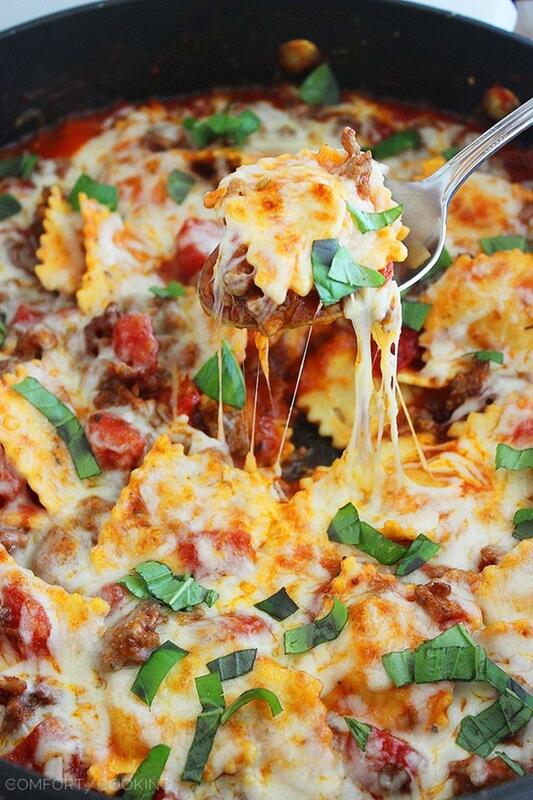 Stock up on a warehouse-size bag of ravioli, and you’ll always be ready to whip up a delicious dinner. 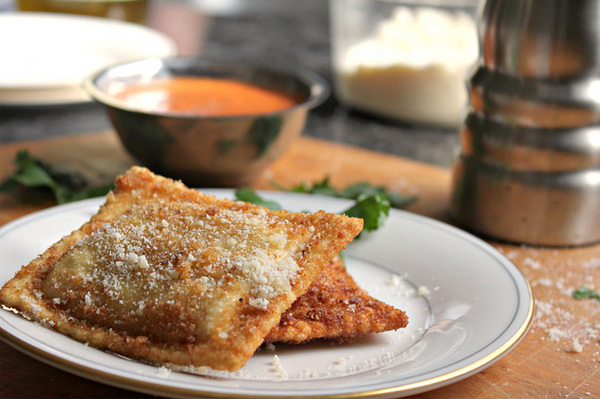 A quick bath in the deep fryer transforms frozen ravioli into a gourmet affair. 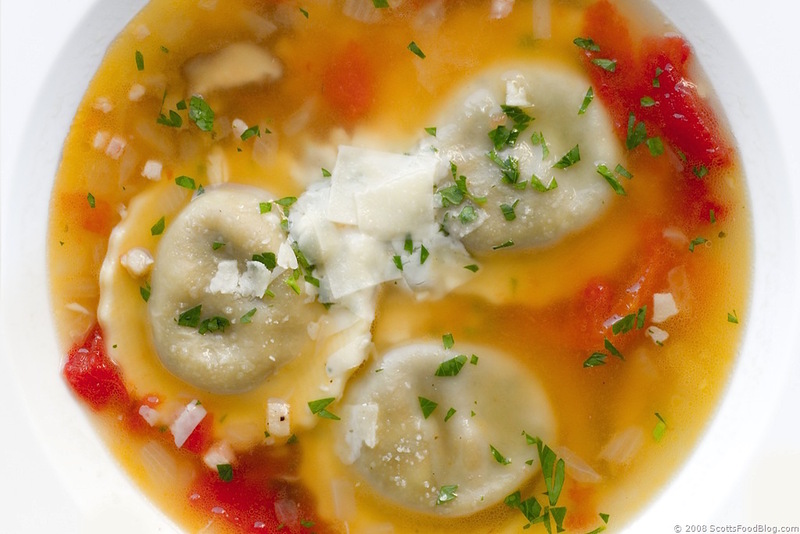 The red pepper cream sauce is just the icing on the… ravioli? It’s hard to resist a comforting skillet full of cheesy pasta, but the best part of this meal is that it’s ready in about 20 minutes. You can really throw whatever ingredients you have on hand into this quick ravioli soup, but pancetta, onions and tomato sound like a good plan. 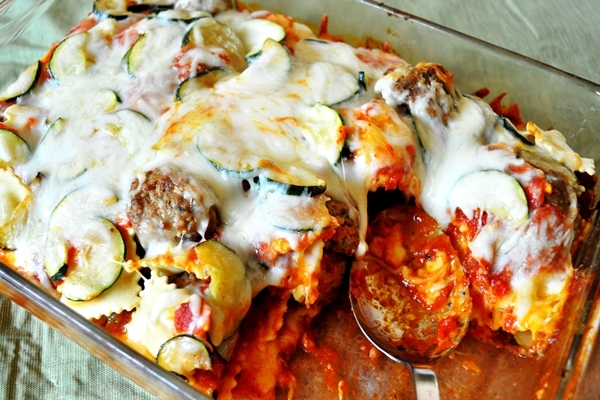 Take full advantage of grocery store conveniences with this ravioli lasagna. Grab a jar of sauce, a package of frozen meatballs and a package of frozen ravioli, and you’re well on your way to a hearty dinner. 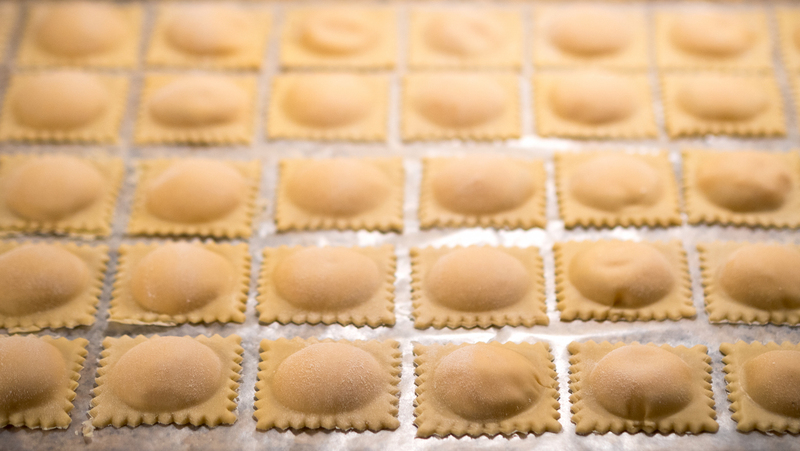 This recipe calls for homemade ravioli, but who has time for that? 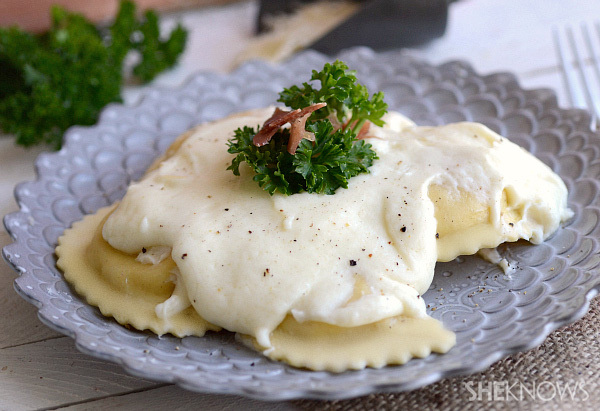 This decadent Swiss cheese sauce is the perfect topping for any ravioli, frozen included. 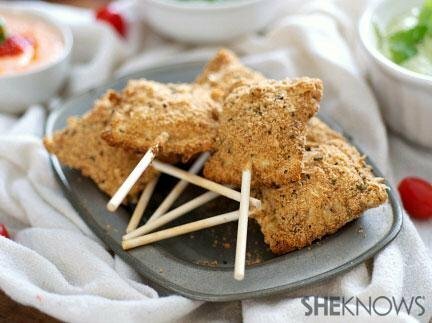 The kids will love these crispy baked ravioli on lollipop sticks, and there are also three tasty dipping sauce options if you’ve got a little extra time. 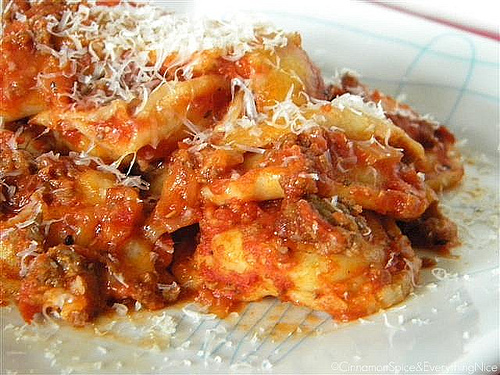 This baked ravioli with meat sauce takes a little longer, but most of it is inactive time. Personally, I think it’s well worth the time. Just look at it. Have 20 minutes? 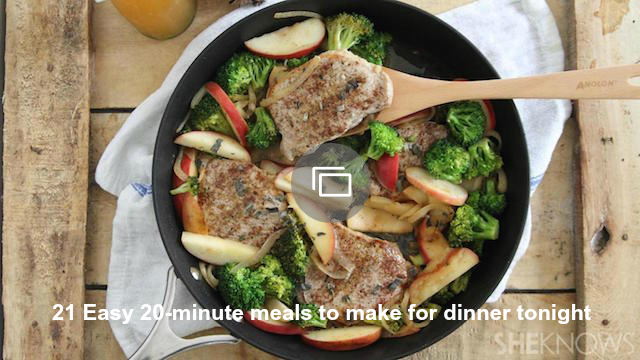 Check out these super-quick meal ideas.